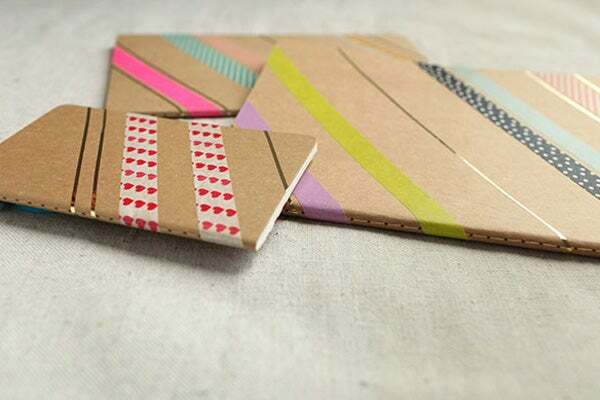 • Simply run tape at an angle across cover. 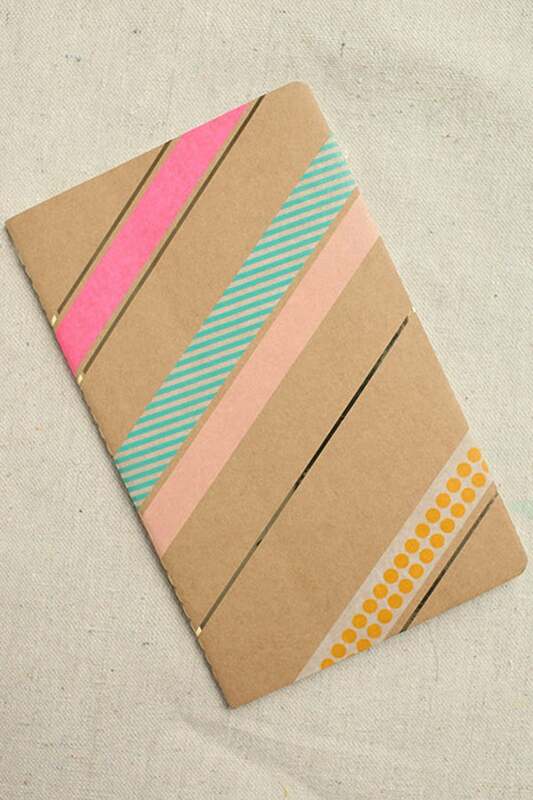 Leave yourself 1/4 inch of tape along the edges so that you can secure it on the inside of the cover. 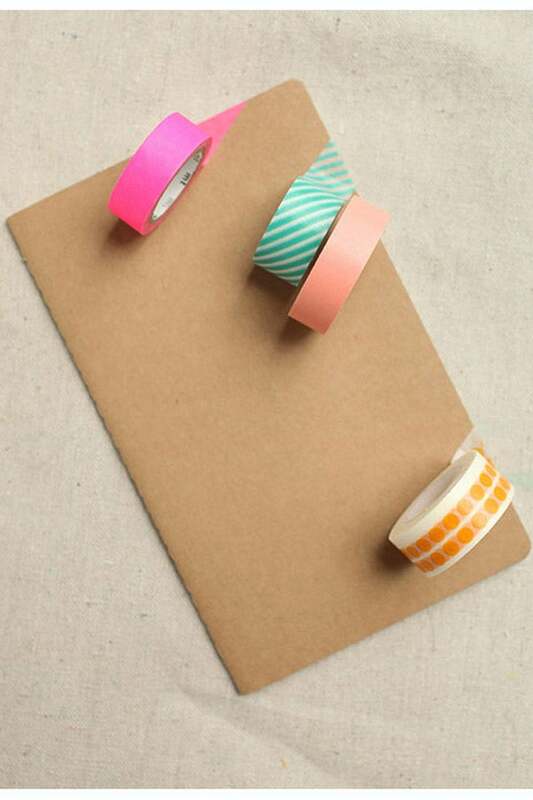 It’s easiest to run your first tape somewhere across the middle of the notebook. 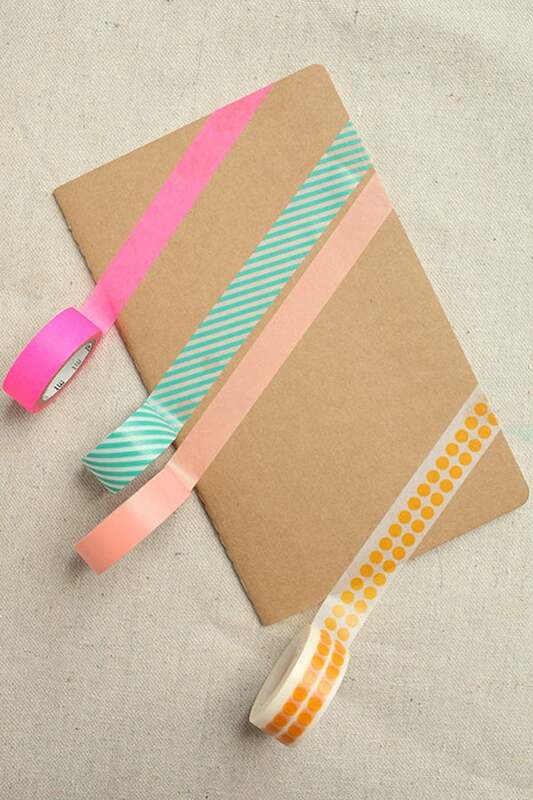 • Add thin gold tape as an accent in the same manner as the washi tape, snip, and secure. • Start writing all those big ideas down like you promised yourself you would!